Mumbai, April 9 (IANS) A benchmark index of Indian equities markets was trading flat late Tuesday afternoon. There was heavy selling in information technology (IT), technology, media and entertainment (TECk) and fast moving consumer goods (FMCG) stocks. The 30-scrip sensitive index (Sensex) of the Bombay Stock Exchange (BSE), which opened at 18,481.47 points, was trading at 18,455.19 points at 1.00 p.m., up 17.41 points or 0.09 percent from its previous day's close at 18,437.78 points. The Sensex slumped to a low of 18,418.21 points in the intra-day trade and touched a high of 18,565.56 points. The wider 50-scrip S&P CNX Nifty of the National Stock Exchange (NSE) was trading 0.39 percent or 21.80 points down at 5,564.75 points in the late trading hours. 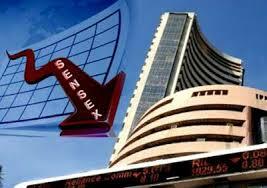 The BSE IT index was down 70.76 points, followed by TECk index, down 37.38 points and FMCG index, down 32.31 points. However, the capital goods index was up 118.36 points, while the bank index gained 102.79 oints and the automobile index went up 89.40 points. Among other Asian markets, Japan's Nikkei was trading flat, while Hong Kong's Hang Seng was up 0.82 percent. China's Shanghai Composite Index was higher by 0.64 percent.